I had managed to harvest 8 cabbages and a few pumpkins from my garden before a hard freeze hit. By “harvest,” I mean I piled them in the garage and hoped the freeze wouldn’t be low enough or long enough to damage more than a few layers of green. When the cold temperatures continued, I moved the cabbages into the laundry room, crowding the walkway from the garage. Here, they were occasionally, but accidentally, kicked while their outer layers dried and developed some black spots. But no mold. When a friend visited and blithely asked what I was going to do with all my lovely cabbages, I stuttered and mumbled something about one failure in sauerkraut this year and no other plans. She asked if I didn’t have a sauerkraut crock. My first sauerkraut a couple years ago had been successful. When I had tried that same system this year, something had gone wrong. I was dragging my feet on trying again, because that is a lot of cabbage to shred just to have it rot. With my friend’s kind inquisitiveness, I was inspired to research the issue more. (the website I had linked to disappeared. I will have to look for another). 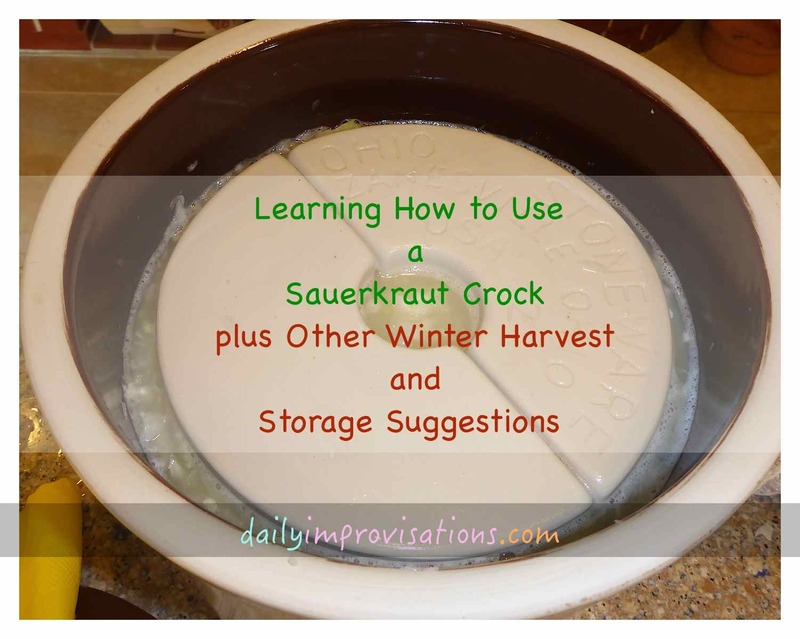 I read on several other websites, too, and decided that while all the variations on DIY sauerkraut set-ups were interesting, I was ready to use a crock for more reliable results. An Ohio stoneware crock seemed to be the least expensive option, and I ordered it through the recommended Ace Hardware website, since that was the best price I could find. It came within a few days. I went to pick it up, followed the manager to the back of the store, chatted a bit while she checked in the boxes for breakage, then she noticed my feet were bare and insisted I leave “for my own safety since there is often a lot of glass on the floor.” I tried to discuss it a bit, knowing from experience that these kinds of reactions are frequently misinformed. All I got was an adamant reply that I had to leave and if I wanted to see the policy in writing she would go type it up. During my walk back to the front of the store, I noticed that the floors were spotlessly clean. I felt free to cheerfully mention to her, as she was right behind me, a list of well known hardware and garden stores that have no problem with me shopping barefoot. I guess I won’t be going back to Ace Hardware/Ridley’s in Kuna. Still, I now had a sauerkraut crock and no excuses for not doing something with those cabbages. I had discovered last year that they could save in the laundry room and garage far beyond what I would have expected, but I would just as soon process some of them. I decided to experiment and see if my Kitchen Aide slicing attachment would adequately shred the cabbage. It did, if I cut it up into chunks that fit in the chute. It went so well that I also shredded another 25 cups or so to make a batch of coleslaw, using a combination of this pineapple coleslaw recipe and this one with grapes and apples that Chef Betharoni made. The sauerkraut brined up well and it was time to weight it down, but because of how I had done this before, I was confused about how to use the weights that were made to go with the crock. Finally, I found instructions for putting them directly on top of the shredded cabbage and pushing down a bit to make sure the brine covered the kraut. Then, there is a heavy ceramic lid that sits on the top rim of the crock. It was so much easier than the whole plastic-bag-with-water-on-a-plate thing. So, now it in an out of the way place in the house with no chance of over heating or freezing. All of this got me re-evaluating how I have handled harvest and winter storage this year. There is always something different and always something to learn. It led me to write this article for D&B Supply that outlines how I decide what to harvest, when, and what and if to process from my harvest. I didn’t have to do it all myself this year. Chef Betharoni experimented with pumpkins processing while I was out of town. She baked them like usual, them put them through my food mill. This removed the peels, was much faster and easier, and allowed her to process a few gallons of pumpkin puree for the freezer. I have plans to try this next year. I may still use this method if I only want to cook and peel one pumpkin, but for multiple pumpkins, the food mill seems like the way to go. With refrigerator space in high demand during harvest and processing times, I recalled how convenient it is to not have to worry about refrigerating eggs. This is something I learned in both Taiwan and Africa. In Africa, the eggs were just left on the counter for 3 weeks in the house we stayed in. I kept waiting to get sick, but I didn’t. Not even after inexplicably agreeing to eat a raisin-like fruit that was drying on the back cement patio of a small shack. And if anyone is going to have stomach issues from such things, it will be me. The lesson was repeated in Taiwan, where they don’t even refrigerate eggs in the grocery stores or in the farmer’s market bins. Here at home, we still end up refrigerating them sooner or later, but I am comfortable leaving them on the laundry room counter for days, depending on the schedule and space available. Doing these few things with harvest and processing in December has been good for my gardener’s spirit, making me less frustrated by the limited or non-existent growth in the winter. It is almost time to clean up the greenhouse again. I can also do things like prune the zonal geraniums that are blooming while they over winter there. 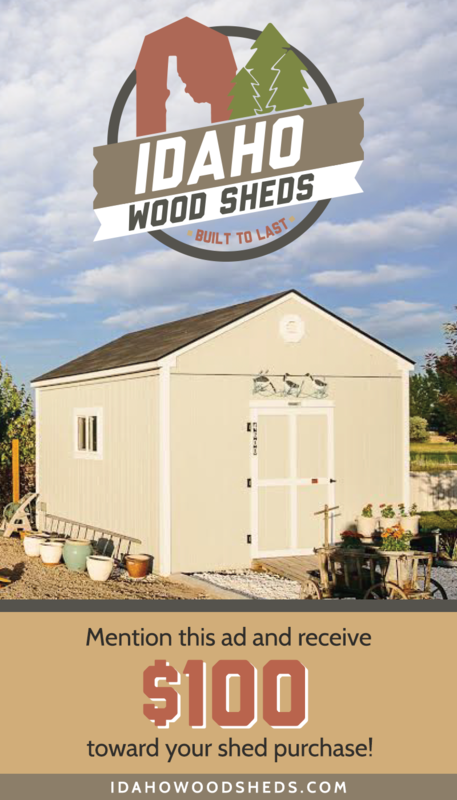 After Christmas, it will be time to consider seed catalogs and check grow lights. It is not the same as a warm spring day, but it is all a fulfillment of it and a step toward it.